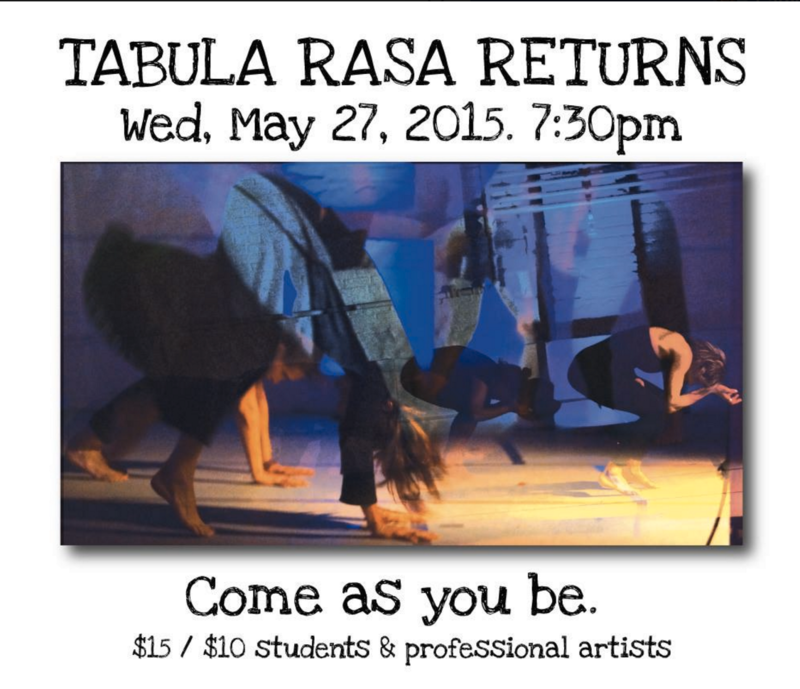 Rehearsal Before May 27, 2015 from Catherine Musinsky on Vimeo. This two camera shoot of the rehearsal prior to May 27th show, Come As You Be. Dancers include Catherine Musinsky, Lani Nahele, Jared Williams, Jimena Bermejo, Joe Burgio and Katerine Gagnon. Musicians include Matt Samolis, Syd Smart, Daniel Orlansky and Jason McCool. 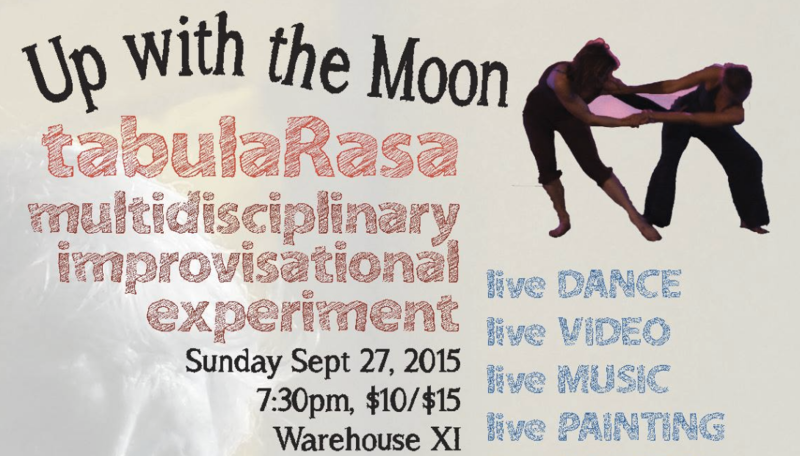 On September 27, 2015, Tabula Rasa Multidisciplinary Experiment converged with the Blood Moon, an uncanny lunar eclipse. Here are some excerpts from that performance. Video by Werner Grundl and Julie O’Neil, with Stan Strickland, Daniel Orlansky, Jason McCool, Syd Smart, Rose Pasquarello Beauchamp, Jimena Bermejo Black, Karen Klein, Meghan McLyman, me, and Linda Clave. Guest appearance by Scott Bryce Getchell! –from Catherine Musinsky on Vimeo. And here you can watch the entire, unedited night!